Awhi Awhi, also known as the Paturoa Kauri, has featured in my thinking for a number of years now. And in the thinking of a number of people who I have a great deal of respect for. Including two neighbours and two people who decided to set up residence in Awhi Awhi’s branches to make sure she was OK.
After all why is a potentially 400 year old Kauri facing the chop? And what can we do to protect her and other trees like her? I can recall vividly an early morning visit to the site 4 years ago when the sun was rising and a Kaumatua delivered a karakia while birds were singing and the beauty of the local environment peaked. For me that day the case for protection was clear. Now we are entering a new stage. I hope that Awhi Awhi is safe. I thought I should set out what I am proposing, with the support of Sandra Coney and Saffron Toms, this week to the local board to make sure that a 400 year old Kauri that survived ring barking in an area full of kauri dieback can continue to live. In accordance with Standing Orders, please place the following Notice of Motion on the agenda for the Waitākere Ranges Local Board meeting being held on 18 April 2019.
i) reinstate the Significant Ecological Area on 40 Paturoa Road so that Awhi Awhi is protected. ii) reinstate the Significant Ecological Area on the road reserve outside of 40 and 42 Paturoa Road so that the significant Kauri on the road reserve have further protection. 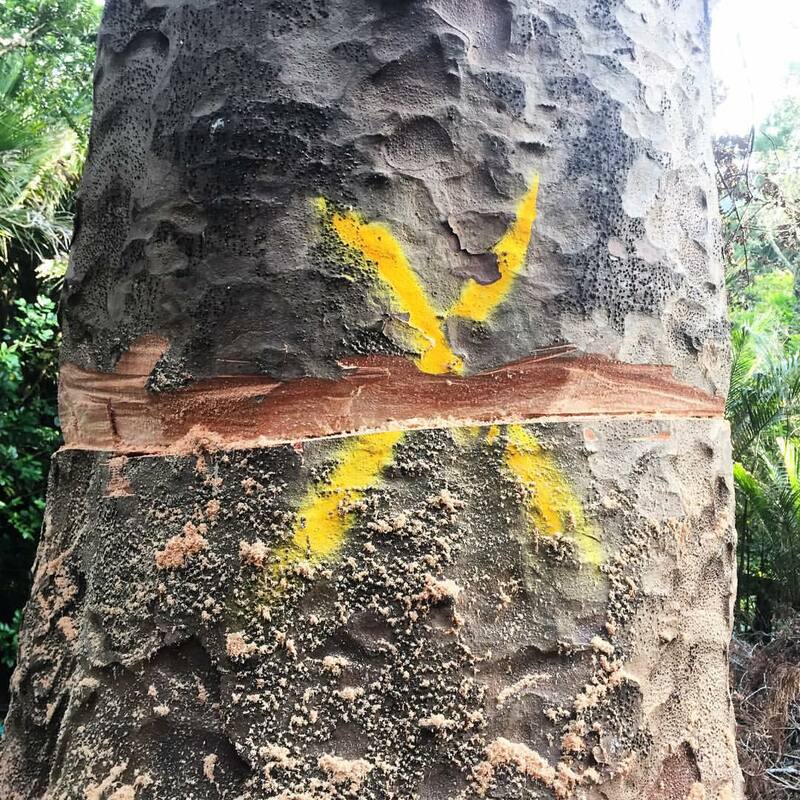 The fate of a 400 year old Kauri at 40 Paturoa Road (who has been named “Awhi Awhi”) has been a significant local issue for the past four years. Such was the intensity of feeling for the tree two people took up residence in the tree to prevent it from being cut down. The issue has arisen again recently following an Environmental Court decision where the uplifting of a restraining order preventing its felling has been approved. An injunction against the felling of the tree is to expire shortly. The Court showed a great deal of sympathy for the tree’s plight and the plight of Kauri generally. The Court held essentially that as Awhi Awhi is not within a significant ecological area it is not protected. The removal of blanket tree protection which occurred in 2009 through changes made to the Resource Management Act mandated this result. The properties at 40 and 42 Paturoa Road were partially cleared in accordance with a resource consent issued allowing for building on the property. The original consent was issued on a non-notified basis and without reference to the neighbours. Following High Court action the consent has been surrendered by the consent holders. 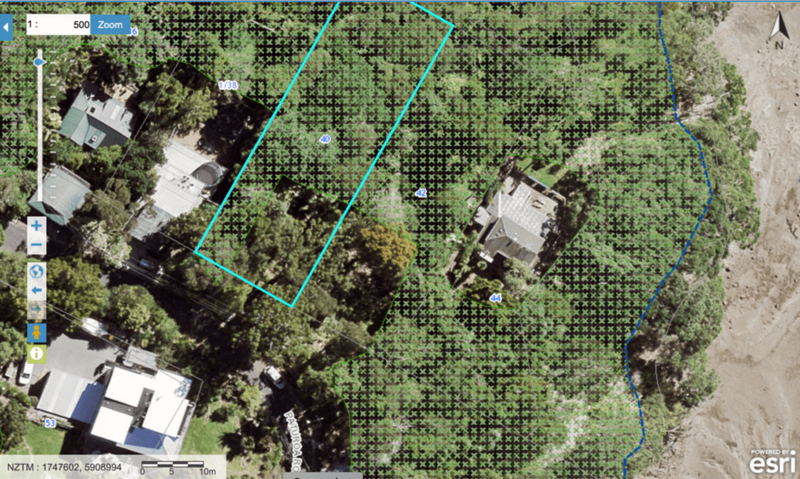 There have been concerns raised as to proposed works to stabilise the edge of the property adjacent to the road and also about the building of a driveway over the roots of two roadside Kauri. Defects in relation to the mapping of Kauri root zones were also alleged. There are three significant Kauri potentially affected by the work. Not only is Awhi Awhi affected but two other Kauri on the road reserve are also seriously threatened. It was claimed in the High Court case relating to the consent that the original proposal for stabilisation of the bank was hopelessly inadequate and that what would be required is a significant retaining wall that would require the roadside Kauri to be felled or at least have their roots systems severely impaired. Concerns have also been raised about the circumstances of the lifting of the Significant Ecological Area from the property. The Draft Unitary Plan retained the existing SEA over the property. It was contended by the landowner that it should be removed from the cleared area which included Awhi Awhi. The agreement would have kept the SEA in place to cover the more significant Kauri in the road reserve. reduce extent of SEA_T_5539 from … 40-42 Paturoa Road, Titirangi where vegetation removal has been undertaken as a result of approved resource consent conditions associated with the titles. The [following] plan was attached to the submission as is the resulting change to the SEA overlay. Note that the horseshoe shape has gone. The Kauri to the right on the roadside is protected as it is partially covered. But the Kauri in the centre is not. I understand this is because the Council staff thought the SEA should be contiguous to neighbouring areas but I note that the Kauri’s root system would extend to neighbouring Kauri. Given that the resource consent has been surrendered it can be asked why the change to the SEA should remain. Council is under an obligation to consider applications in a timely manner. There was an application for Awhi Awhi to be listed as a notable tree lodged two years ago. There is a legitimate expectation that these sorts of applications should be considered in a timely manner. To delay consideration of protection of a significant tree because of bureaucratic considerations is not appropriate. Also Awhi Awhi is within 10 metres of the edge of the road reserve. A fresh application will not necessarily result in permission to construct a dwelling where Awhi Awhi is. There is no harm to anyone by reinstating the SEA either over Awhi Awhi or over the road reserve. If this does not occur, the fate of three significant Kauri is under threat.